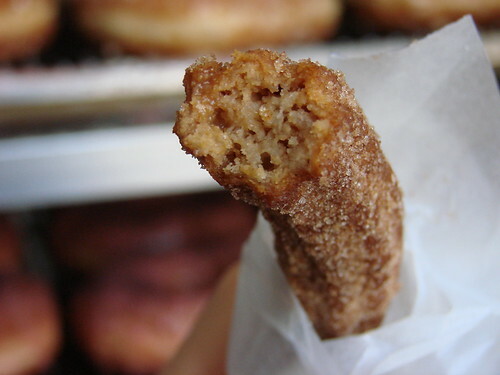 Blondie and Brownie: Churros at the Doughnut Plant?! 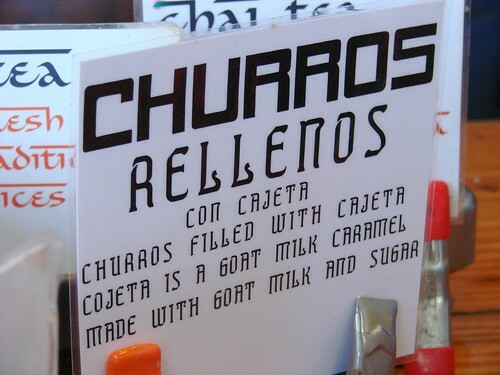 No, this was a basket of churros rellenos con cajeta--churros that are filled with a goat milk caramel. Um, you had me at goat milk caramel. Oh, who am I kidding? 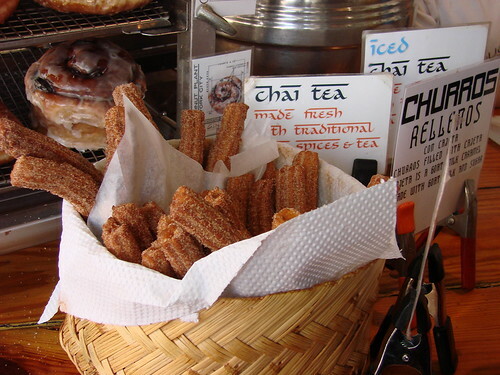 You had me at filled churro. Many of the churros I've encountered in the city have been mediocre at best. The churros from the Doughnut Plant were exceptional. Fresh and cinnamony, chewy yet tender, the churros rellenos are worth saving little extra tummy space. I've seen those there each of the last three times I've been to the Plant (the last one being this past Friday) but I blew them off - I mean, this is the Doughnut Plant. But now I will have to get one next time! What's with the churro dismissal?? They're like doughnut sticks! I love churros. Nice to hear that those are good. You just described my ideal NYC morning (how I miss them), a knish, lox and bagel and yummy cinnamony churros! Wow! How lucky did you feel to be eating all of that? @roopa: definitely do give it a try! @anna: lol. churros can be downright awesome, but a lot of times they are just sort of meh. Maybe it's a result of Taco Bell churros saturation in high school. @kathryn: that's a bummer. the filling is really what sealed the deal with ordering these. @jamie: wandering around the Lower East Side eating all that yummy food I definitely appreciated my good fortune. I love these sorts of weekend noshing walks.